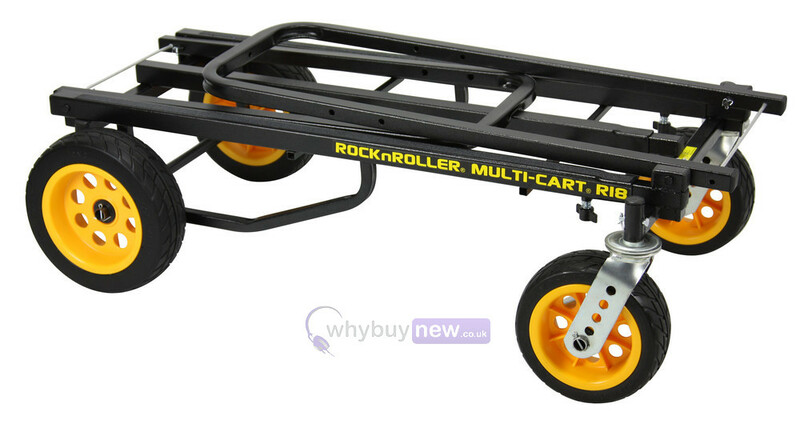 The Rock N Roller Multi-Cart R18RT Ground Glider Mega is designed to easily transport large and heavy music equipment such as speakers and instruments. 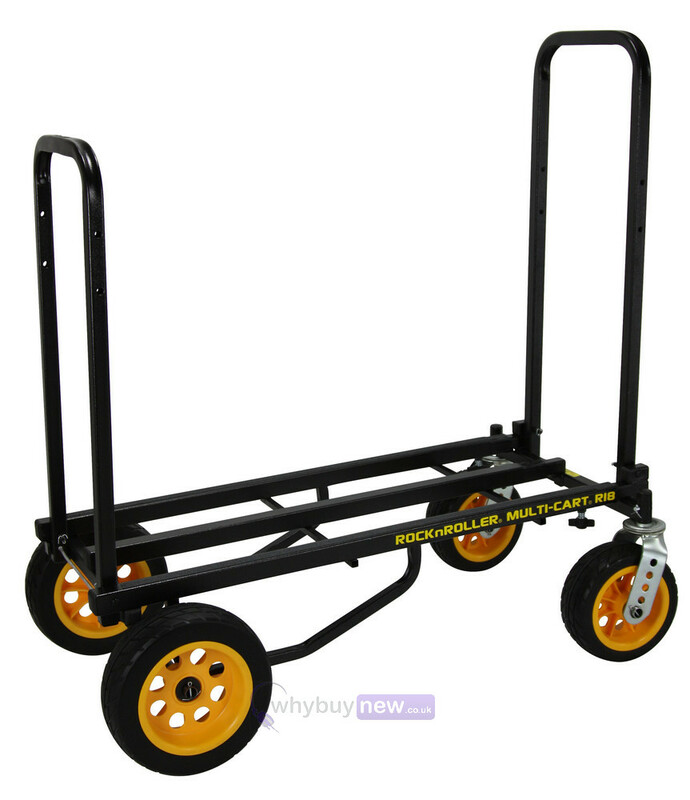 The frame of this cart is made from sturdy, durable powder-coated steel tubing and can be adjusted to various different load sizes depending on what you need to move. 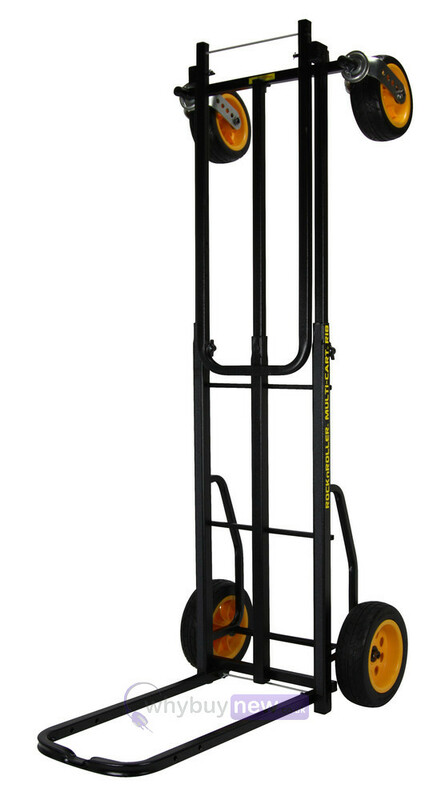 The R18RT can be extended to a length of up to 60", can carry a capacity of up to 700lbs/317.5kg and folds for convenient storage or transport in a vehicle. 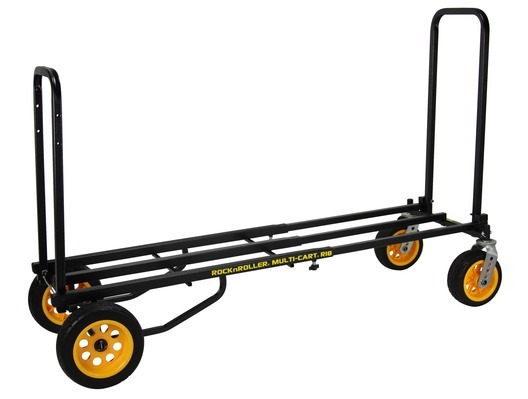 The R18RT offers the most impressive carrying capacity and load handling capability of the entire RocknRoller® Multi-Cart® line, and instantly transforms into any of 8 configurations to help you move massive amounts of equipment with ease. 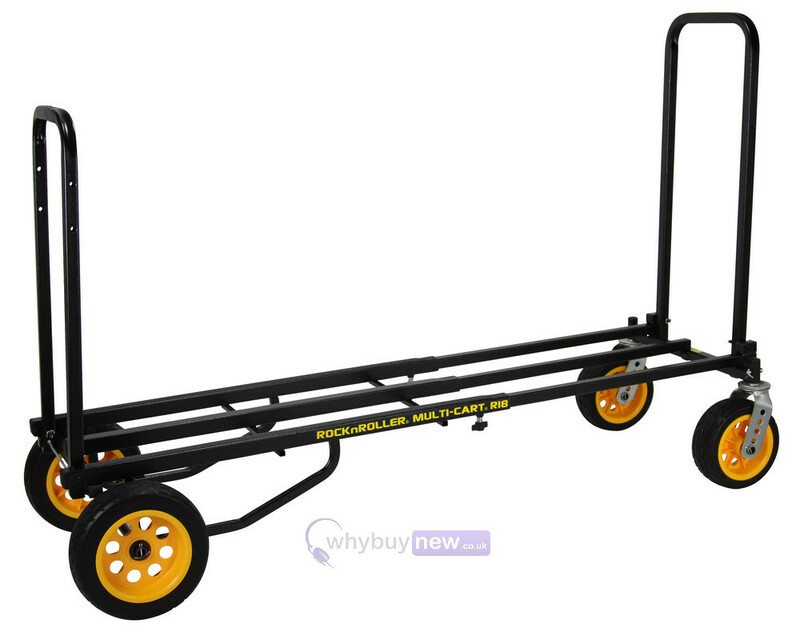 Super wide R-Trac 8"x3" front casters with brakes and 10"x3" rear wheels easily roll heavy loads over grass, dirt, and soft carpet. The custom-designed R-Trac Ground-Glider Wide wheels feature low profile no-flat tires, lightweight but strong polymer hubs, low rolling resistance, pneumatic-like cushioning, vastly wider load dispersion over soft terrain, and look like racing wheels. 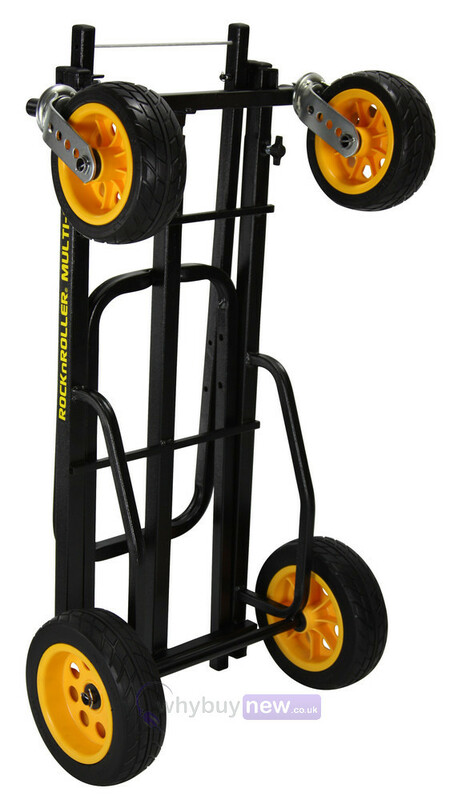 8"x3" brake casters are 50% wider than typical casters and R-Trac 10"x3" rear wheels are 33% wider to glide over soft terrain but keep the cart lower to the ground for better loading ergonomics and smaller storage size. 25% larger tubing on the frame bed and foldable handles is stronger for even bigger loads. Extremely tough textured powder coat finish survives thousands of trips. Non-skid frame bed surface resists load slippage. 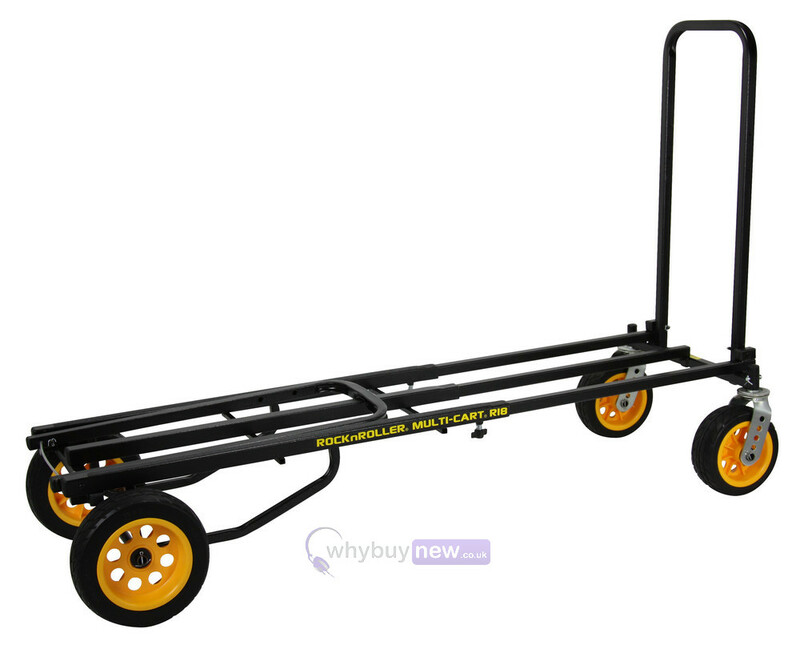 Now you can easily roll your gear across rough terrain - at a job site, backyard wedding, over gravel or grass, at an outdoor festival, sporting event, or just about any condition you can imagine.